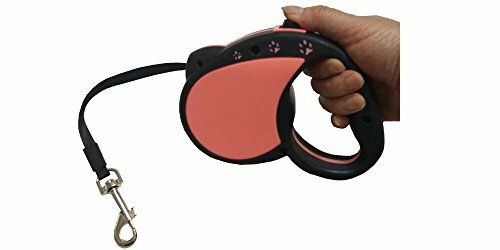 This pink black retractable dog leash reaches up to 16.5 ft (5m). The line is made of high quality nylon material. The hook is chrome plated, rust proof and smooth. The grip is designed to add additional comfort for the human hand. View More In Retractable Leashes. If you have any questions about this product by Doggy Depot, contact us by completing and submitting the form below. If you are looking for a specif part number, please include it with your message.